St Jerome was born in Stridon, Bosnia. He was not baptised until his mid-twenties when he was in Rome. 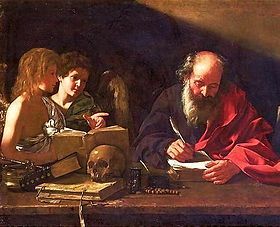 St Jerome travelled to many cities and studied multiple subjects and languages under the guidance of learned teachers. His travels included following in the footsteps of Jesus during His ministry. St Jerome spent five years living a life of prayer and penance in the desert of Chalcis. St Jerome was, at one stage, Private Secretary to Pope Damasus I, but also a consultant to Clergy and Bishops. He is best known for his translation of most of the Old Testament from Hebrew to Latin and his commentaries and writings on Scripture. St Jerome is a Doctor of the Church. His Feast Day is the 30th of September. Pray for our greater understanding of life and that we will continuously strive to find new ways for Jesus’ love to shine through us.